The trilateral contact group will not meet today. The trilateral contact group on a Donbas settlement, consisting of the representatives of the OSCE, Ukraine and Russia, has decided against meeting in Minsk on 10 February. "The trilateral contact group will not meet in Minsk on 10 February," the press secretary of Ukraine's representative and former President Leonid Kuchma, Leonid Kuchma, said. After the previous meeting of the trilateral contact group on 27 January, Olifer said that the date of the next meeting would depend on the results of the Normandy Four foreign ministers' talks. The foreign ministers of Ukraine, Russia, France and Germany are expected to meet on the sidelines of the Munich Security Conference on 13 February. 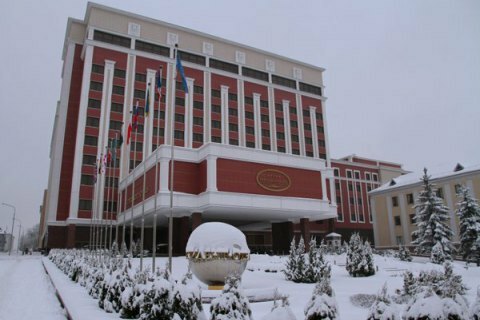 The subgroups on economic, political and security issues met in Minsk on 10 February. A news website of Luhansk separatists, Luhansk Information Centre, quoted its sources as saying the political subgroup may discuss the draft law "On amnesty".